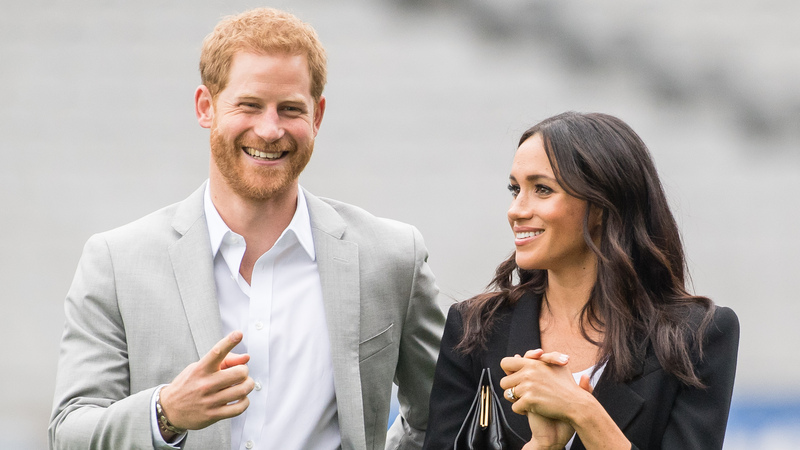 Prince Harry & Meghan Markle Won’t Have Custody of Their Future Children — Um, What?! Sometimes, real life is stranger than fiction. For example, this surprising news from our friends in England: Apparently, when Prince Harry and Meghan Markle, who are now the Duke and Duchess of Sussex, have children, those kids will technically not belong to them. What? You see, in an interview with News.com.au, royal expert Marlene Koenig explained what is commonly referred to as the custody law. According to the law, "the sovereign [aka Queen Elizabeth II] has legal custody of [all] minor grandchildren." This includes Duke (aka Prince) William and Duchess Catherine of Cambridge's three children and any future children the couple or Harry and Meghan will have. When Queen Elizabeth II dies, custody will stay with the palace, with the primary responsible party being Prince Charles. Of course, I know what you're thinking: What? Why? Where did this law come from? (I mean, that's what we're thinking at least.) But according to Koenig, the answer is very simple: This ruling dates back to the early 1700s. King George "had a very poor relationship with his son, the future King George II, so they had this law passed that meant the King was the guardian of his grandchildren,” thus protecting the minds and well-beings of future heirs to the throne. And while this law was put in place over 300 years ago, it remains unchanged today. The good news is that the palace doesn't appear to put much stock in the antiquated ruling. Koenig says the queen “doesn’t make a big deal” out of the law and doubts she would ever step in and exercise control over her grandchildren's lives. But we'll just have to wait and find out.